Everyone should have heard about the official name of the upcoming Windows version: Windows Vista. And if you’re a frequent reader of this website you probably know about Stardock – a company which makes some really cool applications to ensure my personal productivity. But this article is not about the old apps it’s about the new ones. And there are some really interesting apps coming up the next weeks especially for the Windows Vista Beta 1 which is going to be released on the first days of august. 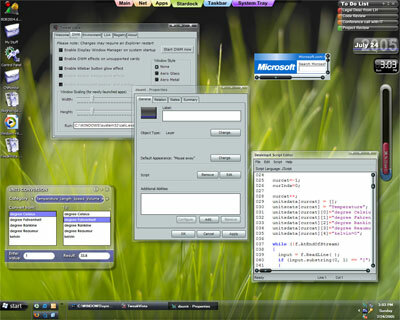 “Windows Vista may be the most extensible version of Windows yet. With its rich new set of APIs that allow users to create unique applications quickly and that the interface has been moved away from GDI (the old drawing method) to a whole presentation system that makes use of 3D hardware acceleration, developers will be able to make Longhorn shine very so brightly. 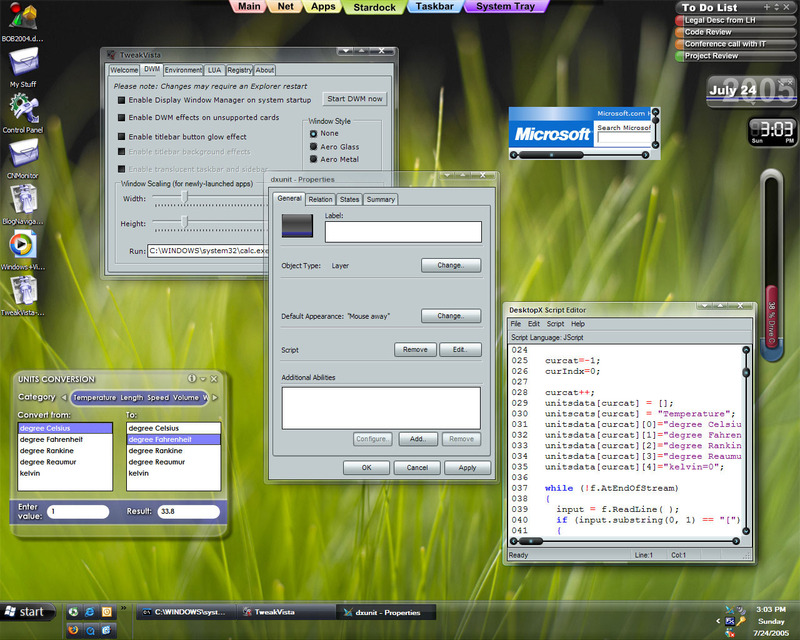 So as you can see: Really cool things are going on for us desktop modding fans. And I am sure that some eyecandy always is good. My opinion is that eyecandy often raises the productivity more than you would expect…just try it.